Complete Software provides accounting software solutions for small to large businesses. In addition to reselling Microsoft Dynamics, Complete Software has added Quickbooks to the product list for small to medium sized businesses. The company creates software but also provides training and support to help businesses every step of the way. 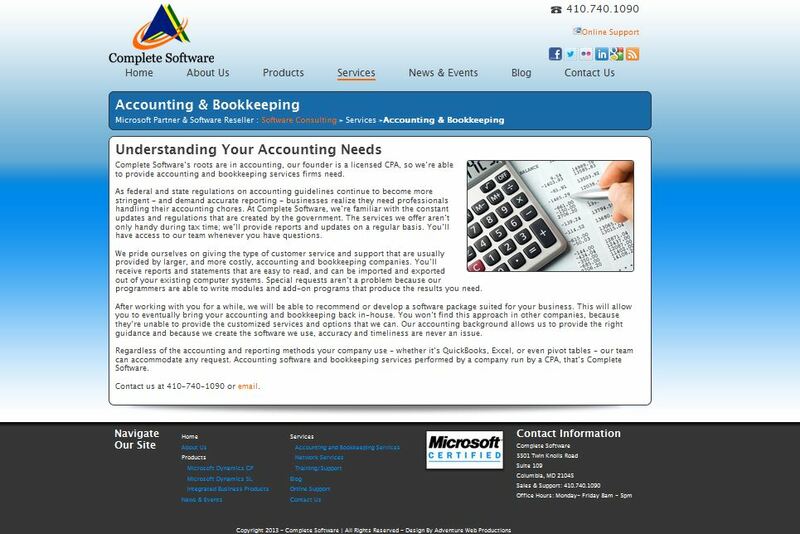 Complete Software offers accounting and bookkeeping services as well. Don’t forget to follow Complete Software on Facebook and Twitter! To see the redesigned site go to http://www.completesoftware.net.